Home » Blogger Tutorials » How To Allow Users To Reblog Your Posts In Blogger Platform Like Tumblr? How To Allow Users To Reblog Your Posts In Blogger Platform Like Tumblr? Have you seen the Tumblr website; which had been acquired by Yahoo, In that site there is an option about Reblog or share you content. Now this site I come with similar blog how you can get similar blog in blogger blog? 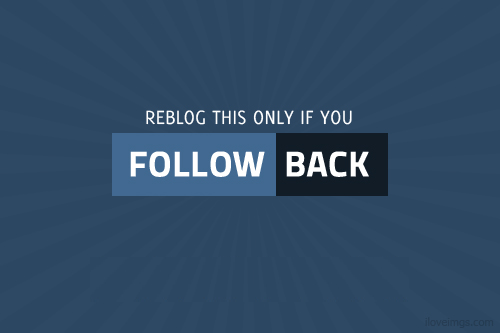 Very simple, Granting you audience to Reblog or spread you content on their blogs. Why this option is good for? This feature is effective for a post goes viral like other sites do. Couple of months before my blog friend asked me why you not add Reblog option for your readers. On that time I didn’t understand their question but now I realized that, this option could be benefit for me and for others also. What if somebody idolized my post and wishers to spread it on their blog? In this scenario, you can provide them one step solution which will not only share your content across the internet, as well that it also assists you to earn a previous backlinks. So, today in this blog post, we will display you how to enable users to Reblog your posts in Blogger? Why to permit uses to Reblog your Blog Posts? Various folk might take it in a other way as permitting users to spread your blog posts on their blogs and secondly there is a chance of plagiarism. Am I right? How you thinking that? Nevertheless, there is an unexpected. Have you used the Tumblr blog? No, If someone Reblog your post in Tumblr then it shows the credit in the last line which indicate that, where the post came from. Just like similar thing do in blogger post. A credit backlink of the real source is always there, so it means you would cover to be an real author. On the other side of this, you can get huge high quality and natural backlinks which is necessary nowadays after Penguin. Google want only natural backlinks rather than link building. Just wonder that if your blog has 50 posts and each post is Reblog by 2000 peoples and inversely you get plenty of valued backlinks to your site or blog. It will also advantage you by allowing for site or blog with more popularity as folk might follow your website or blog from being the real author. Like, as shown in example. Steps - How to Add a Reblog Icon or Button to your posts in Blogger? Step#1 – Login into your Blogger control panel. Step#3 – Search for the ]]> code. Step#4 – After finds it, just paste the above following CSS code in your HTML area. Once you added the CSS code, now time to add the code which would make the code work. Simple find out for <div class='post-footer'> and paste the following code which mentioned at above. Once you did everything, simple click on “Save Template” button to end the procedure.